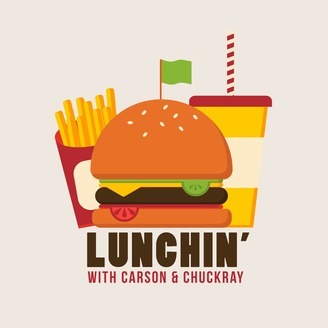 What is Lunchin'? 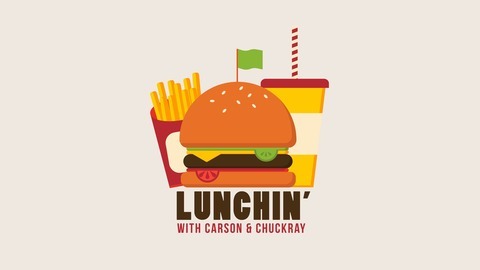 Hosts Stephen Chuckray and Carson Smith and a cast of rotating guests sacrifice their lunch hour to bring you quality entertainment. A conversation between friends that's sure to bring a laugh. It's not just lunch... it's Lunchin'! LUNCHIN' IS BACK. After a brief hiatus over the holidays, the boys are back and better than ever. This week, they welcome Brian & Pauly B. to discuss awful airplane experiences, the history of NASA, the career of Cord Hosenbeck and of course, more flat earth theories. The Quiz Daddy is also back with his most challenging Lunchin' game yet.